Benjamin Young took what he learned carrying out humanitarian missions in the military and applied it to starting a business. Who are you and what is your business? Hi, my name is Benjamin Young. My sister Michelle Cleveland and I opened the first Brightway Insurance store in Abilene, Texas, Brightway, The Young Agency, in April 2017. What branch did you serve and what was your rank? When and where did you serve? I enlisted in 2008 and served in the Air Force until 2014. I was a Staff Sergeant when I got out. My first assignment was at Buckley Air Force Base in Aurora, Colo., where I was assigned to the Air Force Space Command. In 2010, I deployed to Southwest Asia for six months. Less than a year after coming home from the Middle East, I went to Osan Air Base in South Korea for a yearlong tour. After Osan, I went on to Dyess Air Force Base in Abilene, Texas, which is where I now call home. What does the word “entrepreneur” mean to you? For me, it means taking on a risk, working your tail off and allowing yourself the opportunity to be rewarded for your investment of time, blood, sweat, tears and finances. It means that you step out of your comfort zone and exercise next-level accountability. It means that you create a plan and stick with it through the fear of failure to find the rewards on the other side. Tell us about your proudest moment while serving. The proudest moment I had while serving in the Air Force was when I participated in a Humanitarian Assignment (Operation Pacific Passage) that helped evacuate thousands of families in Japan after a tsunami. I worked closely with 50 – 60 other active duty Airmen at Denver International Airport to bring these families in. Many of the evacuees left Japan with nothing, and we were able to get them off of the plane, get money in their pockets, secure lodging, food and necessities for each family and get transportation booked and paid for to a safe harbor zone of their choosing in the U.S. 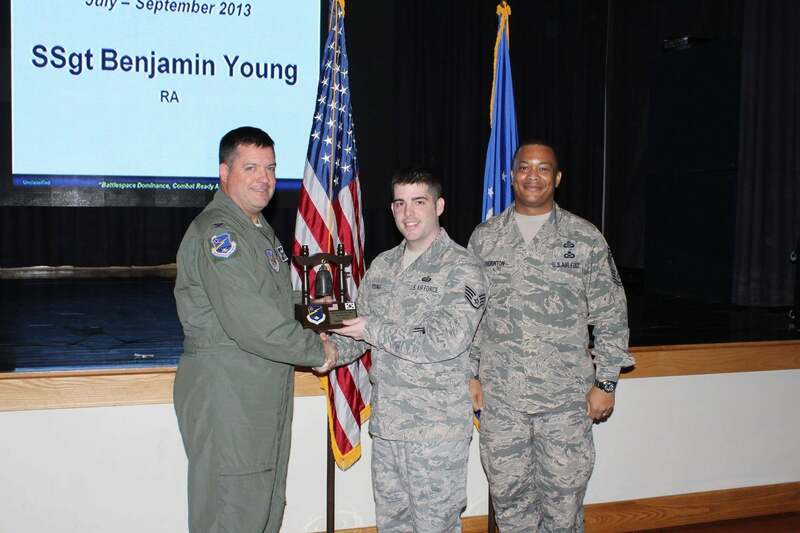 Though it was not combat related, so much good and so much hard work from the team of Airmen made this one of the proudest moments of my Air Force career. What did being in the military teach you about risk? The primary take-home item from the military is to have a plan and learn to be flexible. We had a saying in the Air Force: “Flexibility is the Key to Air Power.” Not every war and not every battle will be fought and won in the same way. The same goes for business. As you analyze your steps in owning a business or making changes, take a look at a risk assessment, create a SWOT analysis (strengths, weaknesses, opportunities, and threats) and ensure your idea of change carries greater reward than the risk associated. In the end, be flexible, learn to continuously monitor your progress and understand that sometimes change may be the best option. Was there a problem that almost tanked your business? How did you overcome it? After about eight months in the insurance business, my agency was falling behind some substantial revenue goals to cover our investment costs. The problem was directly related to personnel and activity. I had to learn to live by a quote that was given to me by another great entrepreneur, my father. When it comes to personnel, “It’s either an issue of skill or an issue of will.” You can teach skill but you can’t instill in an employee the will to perform to the appropriate standard. Using this advice, I found one of my team members who had the will to exceed expectations and be excellent. I helped coach her and I turned her loose. At the same time, I identified a team member who did not come to work with the will to be successful and who ultimately brought down the morale of the office. Though it is never fun, we parted ways with that employee, who is now doing wonderful things in her new career, and we were able to reach our predetermined set goals with ease by the end of the year. What should people understand about what they’ll get when they hire a vet or go into to business with a veteran entrepreneur? If you’re looking at hiring a veteran or partnering with a veteran entrepreneur be prepared to see an unmatched work ethic. Most veterans are used to working six-to-seven days a week and working to accomplish the mission no matter what it takes. The U.S. military is used to success, and veterans take that determination with them when they leave the military. I consider myself to be a transformational leader. I focus on being in the trenches and not asking any employee to do or accomplish something that I am not or have not done myself. I strive to motivate others to do more and to have more buy-in than they originally intended and often times more than they even thought possible. To me, it’s important to empower my team to succeed while they are on my team and when they decide to become entrepreneurs themselves. Is there a quote and saying that inspires you? There are two quotes from famous military leaders that I take to heart today, and they are truly inspirational in leadership across both the military and civilian sectors. “A good plan executed today is better than a perfect plan executed at some indefinite point in the future.” -- Gen. George S. Patton Jr.